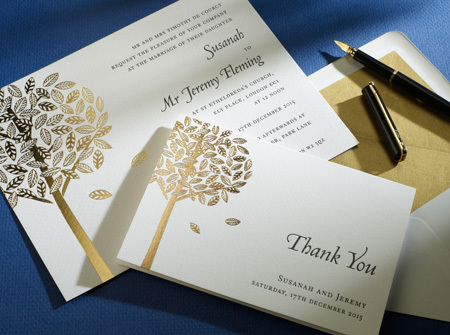 We love this pretty combination of black letterpress print with a stunning tree design in gold foil blocking. The falling leaves would particularly suite an Autumn wedding! The standard wedding invitation is printed letterpress on an 8x6in brilliant white Impression single card, supplied with matching envelopes (unlined). Venetian Italic typeface for display and Electra for the rest of the text. 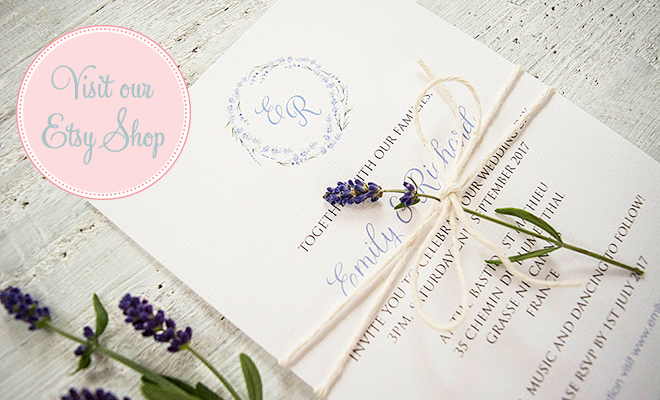 The invitation can be adapted to your preferred style and you have the option to alter: size, ink colour, print style and font, card type, gilt edging, or add lined envelopes.